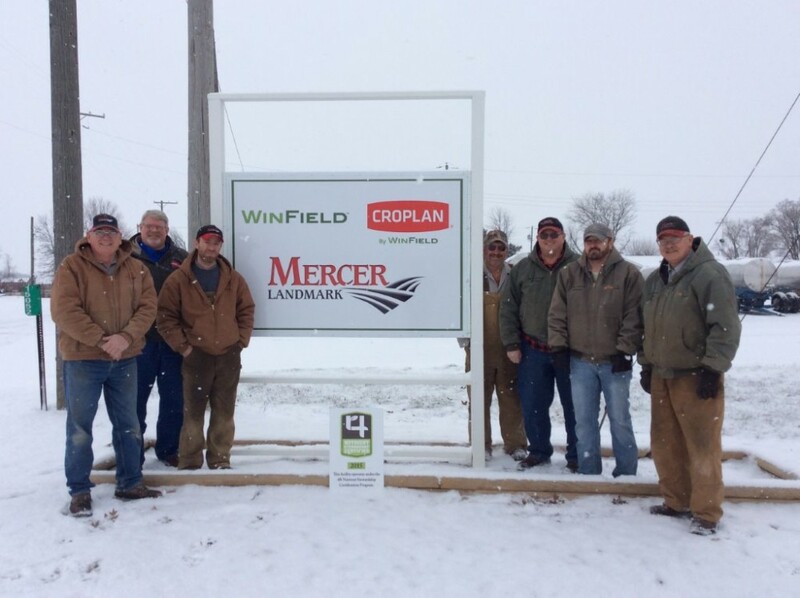 The 4R Nutrient Stewardship Certification Program has announced that Mercer Landmark’s Glenmore Branch in Ohio City, Ohio earned its year one certification in 2015. Mercer Landmark’s Glenmore Branch has served growers in Ohio City and surrounding areas since 1934. The facility provides full-service operations for its customers, including variable rate technology, custom application, crop nutrients and protection. The branch has 12 full time employees. More than 1.8 million acres and approximately 4,350 grower customers are serviced by the 25 facilities in Ohio and Michigan that have earned 4R Nutrient Stewardship Certification, with approximately two-thirds of those acres being in the Western Lake Erie Basin. “Mercer Landmark’s Glenmore Branch has worked very hard to ensure its operation is following the 4Rs, and we congratulate them on earning their certification,” said Andrew Allman, executive director of the Nutrient Stewardship Council. “The Glenmore Branch has proven its dedication to the long-term improvement of Lake Erie’s water quality by making nutrient recommendations based on the 4Rs,” said Carrie-Vollmer Sanders, Nutrient Stewardship Council chairwoman. MEDIA: Download a photo of Mercer Landmark’s Glenmore Branch receiving its 4R Nutrient Stewardship Certification sign. PHOTO CUTLINE: Mercer Landmark’s Glenmore Branch in Ohio City, Ohio is now 4R Nutrient Stewardship Certified. Employees pictured include (from L to R), Dan Eickholt, Gary Prill, Geoff Miller, Dave Merkle, Amos Stauffer, Thad Stauffer and Matt Carroll.